Make the most of your living room or study with this Venice Open Back White Gloss Bookcase, designed elegantly with slim, architectural frames and spacious compartments. 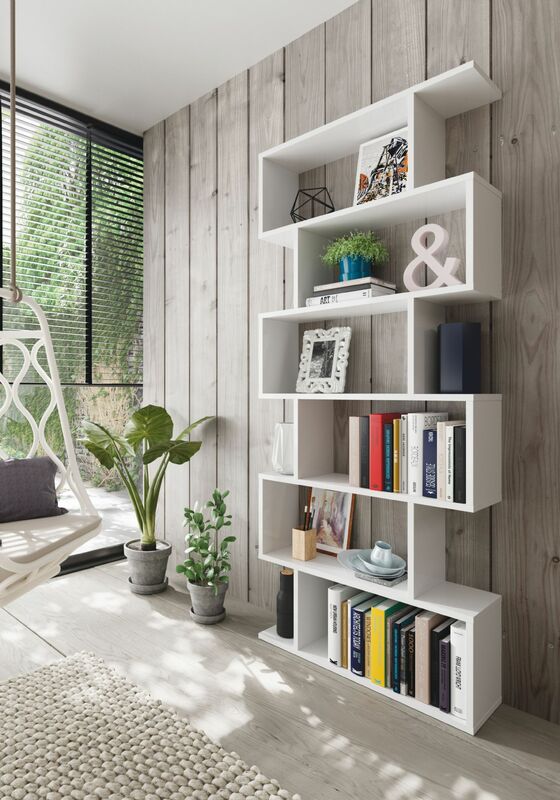 This contemporary open back bookcase is a versatile mix of stylishness and utility that works well in any living area in your home or office. This tall open back bookcase is available in white gloss, black gloss or dark brown wenge effect with shelves at equal intervals to add visual interest. You can accommodate a wide range of book sizes, showpieces, and display items. Product delivered is flat packed for home assembly.